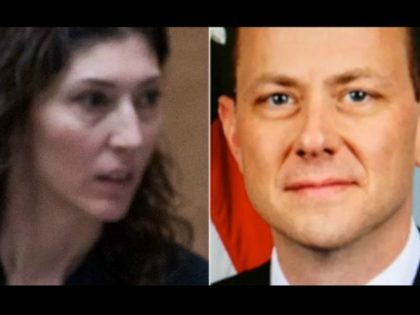 The heat is beginning to rise on the scandalous Peter Strzok, Lisa Page and others. The Independent reports the US Department of Justice has found several months of text messages between two FBI agents on the team investigating alleged collusion between President Donald Trump’s campaign team and Russian officials. DOJ Inspector General Michael Horowitz wrote a letter to Senators Chuck Grassley, chairman of the Senate Judiciary Committee and Ron Johnson, chairman of the Homeland Security and Governmental Affairs Committee.he messages, text exchanges between FBI agents Peter Strzok and Lisa Page, were thought to be missing. The texts have been touted as proof by President Donald Trump’s supporters as evidence of bias against him on the FBI investigation team led by special prosecutor Robert Mueller who are looking into alleged collusion between Mr Trump’s campaign team and Russian officials.